Quinoa is a fascinating food and it has long been lauded for its unique nutritional benefits. For example, you may have heard that it’s a complete protein. What that means is that it contains all 9 essential amino acids that your body can’t produce on its own but has to get from food. And while no single food has all of the nutrients essential to life, quinoa comes closer than any other food in both the plant and animal kingdom. Pretty amazing, isn’t it? Did you know that quinoa, although it’s prepared like a grain, isn’t a grain at all? It’s actually a seed, a relative of spinach, chard and beets. 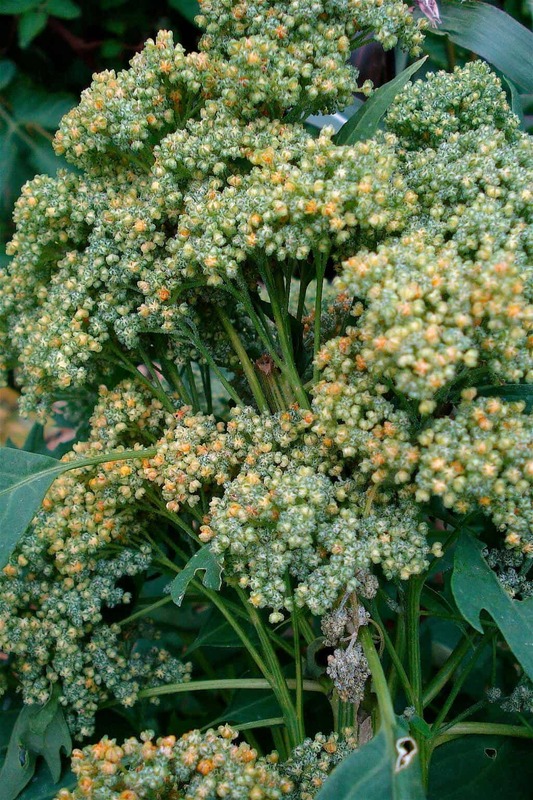 You can even eat the leaves of the quinoa plant. And there are nearly 120 different varieties of quinoa! The ones that are most common commercially are white, red and black, each with different flavor and texture characteristics. 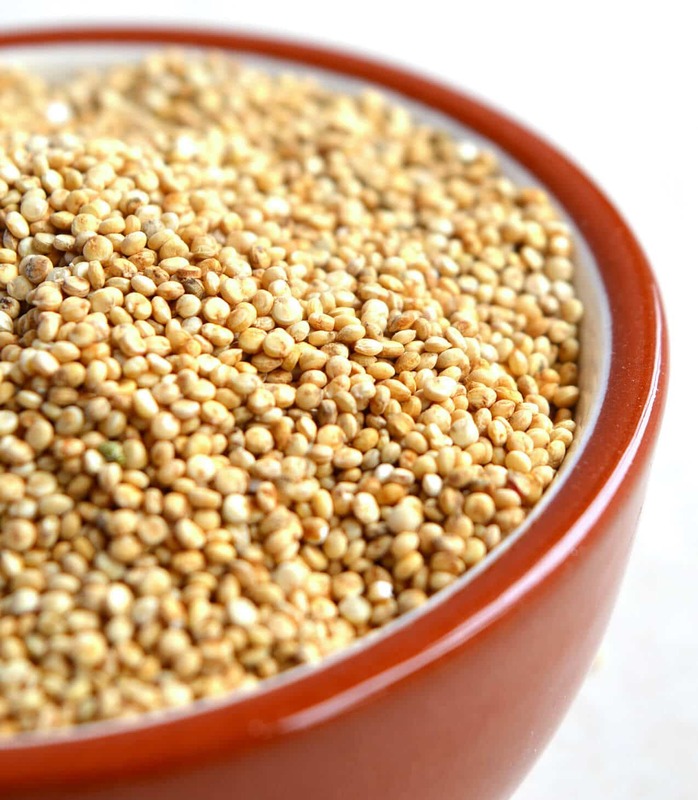 Quinoa is also high in protein, fiber and a whole host of minerals. It’s also naturally gluten-free and easy to digest. For all of these reasons quinoa is being considered by NASA for long-duration human occupied space flights. Another interesting characteristic of quinoa is that it has a remarkably short germination period. Unlike wheat that takes 12 hours or more to sprout, when placed in water quinoa will sprout in only 2-4 hours. 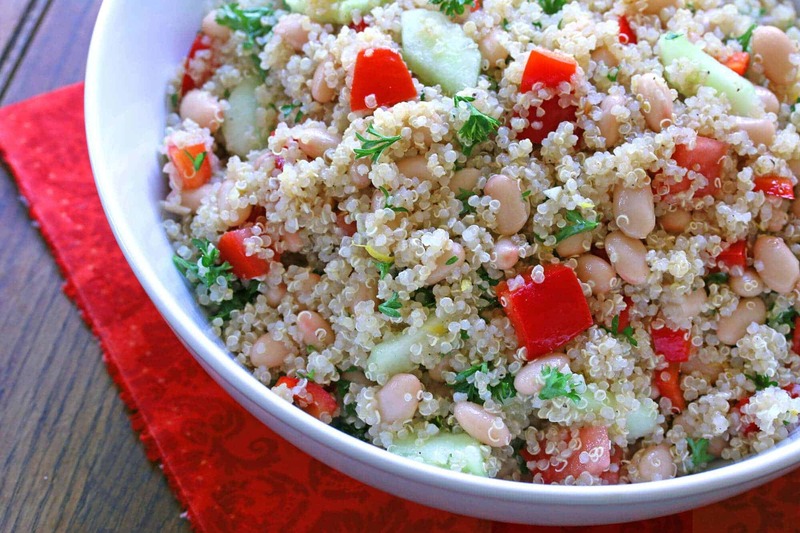 Sprouted quinoa is another great, nutritional option for salads. 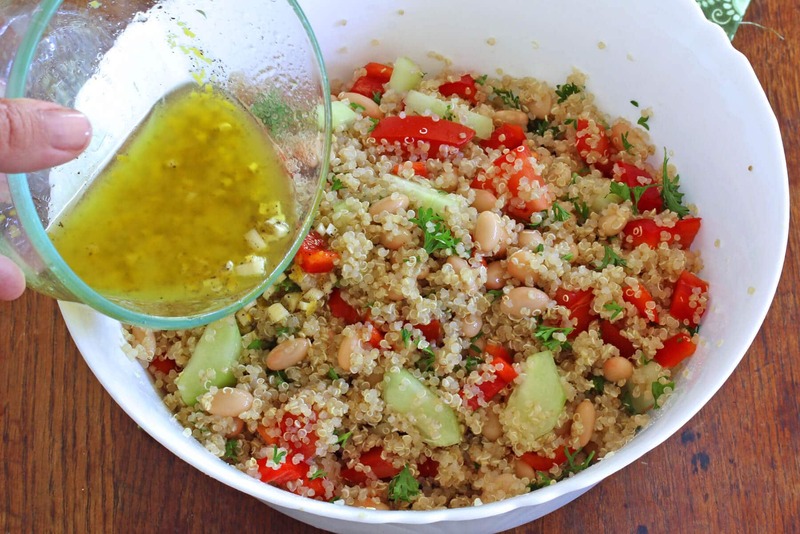 All around, quinoa is a wonderfully healthy and versatile food option. Use it in any salad that calls for grains like this Chinese Chicken Fried Quinoa or Asian Wheat Berry Salad, enjoy a healthier and just-as-tasty version of your favorite cornbread like this Quinoa Cornbread, sneak it into this nutrient-dense Honey Olive Quinoa Cake, enjoy it for breakfast in this Apple Cinnamon Quinoa Cereal, or make what may be the richest, most decadent and fudgy chocolate cake you’ve ever had, this Chocolate Almond Quinoa Cake! 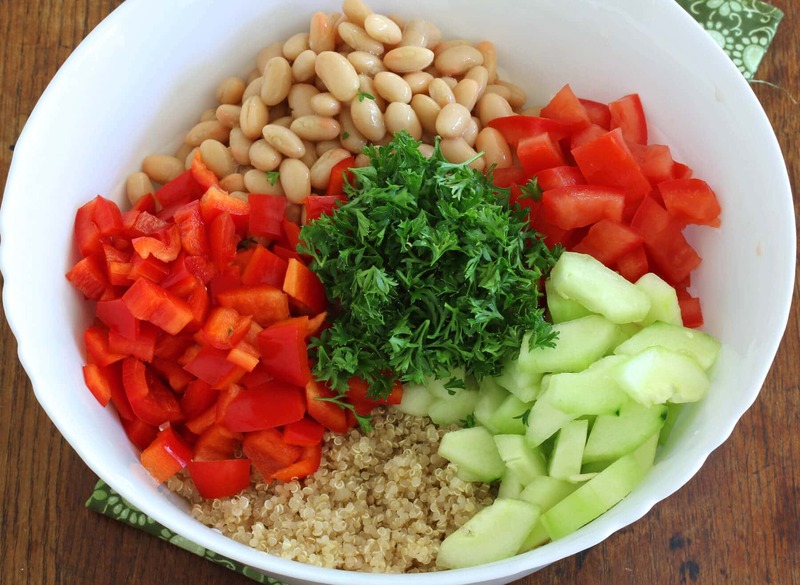 Ready to make this Lemon & Quinoa Bean Salad? 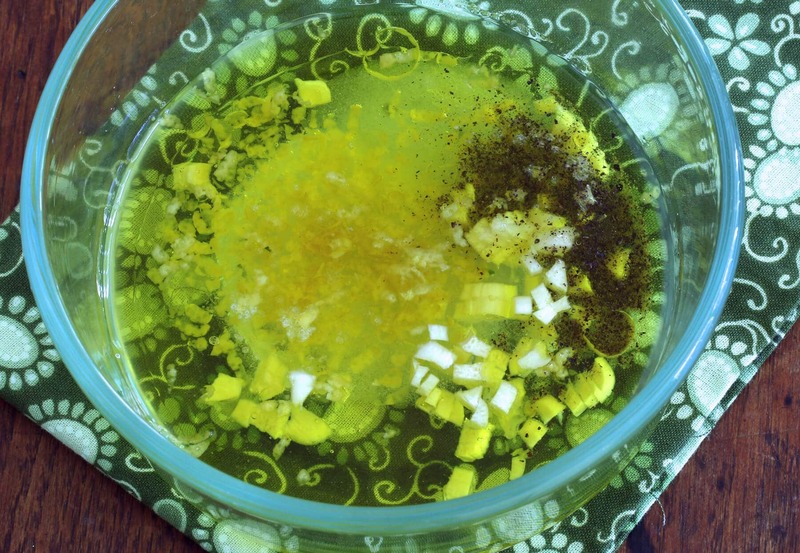 Whisk together the vinaigrette ingredients until emulsified. Pour the vinaigrette over the salad and stir to combine. Serve by itself with some crusty bread or rolls or as a side with some chicken, fish, pork, lamb or steak. It's generally recommended that raw quinoa be thoroughly rinsed and drained before cooking it to remove saponin, which can make the quinoa taste bitter or soapy. This looks amazing! This is my kind of salad! What a great salad to keep and have all week for lunch! I am going to have to add this to my summer salad list! All of these salad look superb. I love the variety and the color. So healthy and refreshing! This looks so fresh and good for summer! A wonderful lunch on a hot summer day! Quinoa is such a great protein source! Love how you’ve made it a complete meal! Ooh this looks amazing! 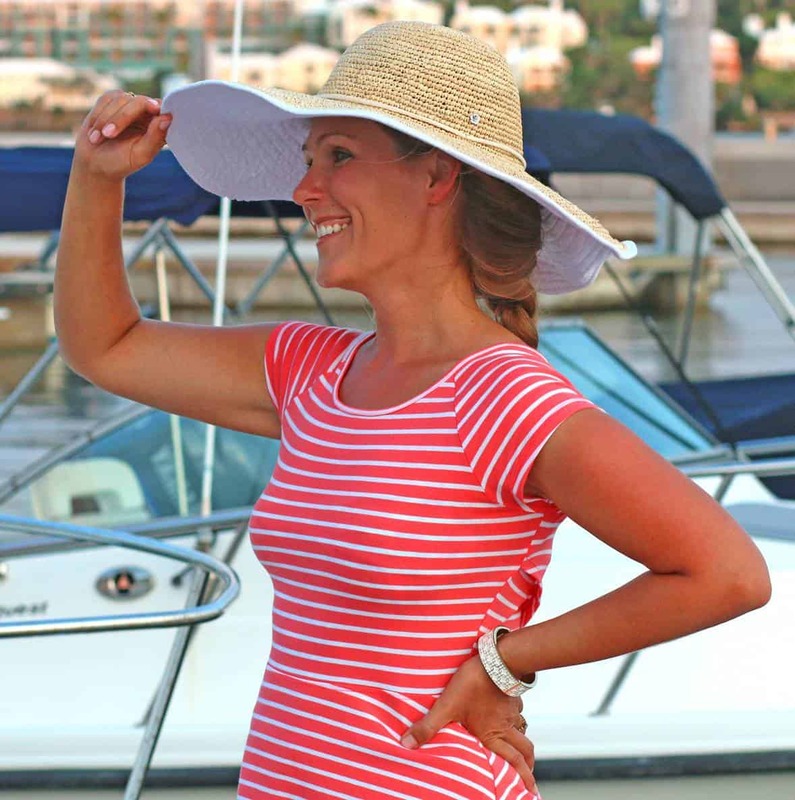 It sounds so light and healthy for these summer days! I love quinoa and all of its great benefits! This salad is gorgeous! Pinning for later! 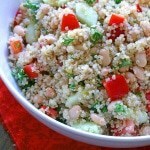 I love finding different versions of quinoa salad! This one looks so light, fresh, & delicious! A perfect salad for summer! Love it! A perfect warm weather salad – love the addition of lemon!